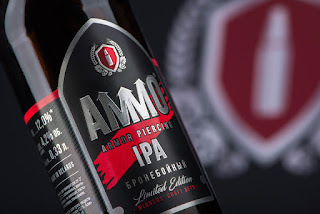 AMMO means “SHELL” in international communication language. The form, as well as design of the label reminds fighting shells. The ligature MM reminds the attacks directions (the right flank, the centre, the left flank). 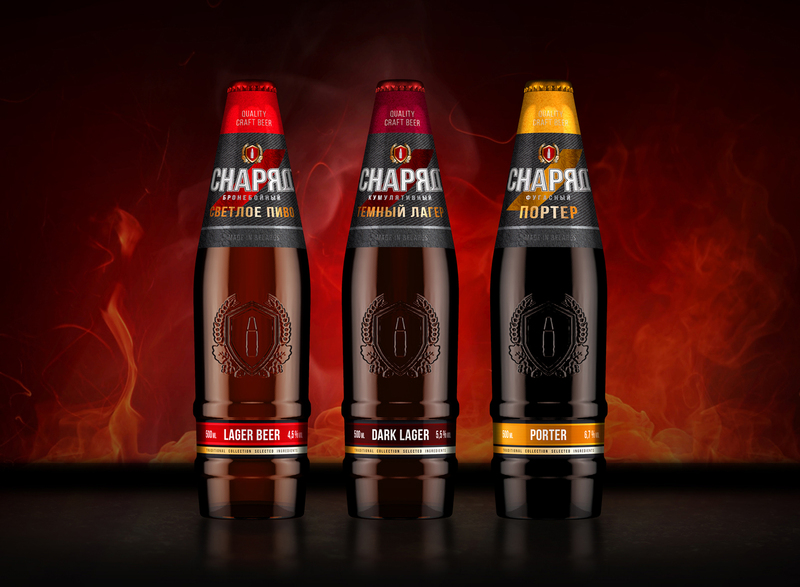 Separation in a line is made by the compliance of beer styles to shells types. 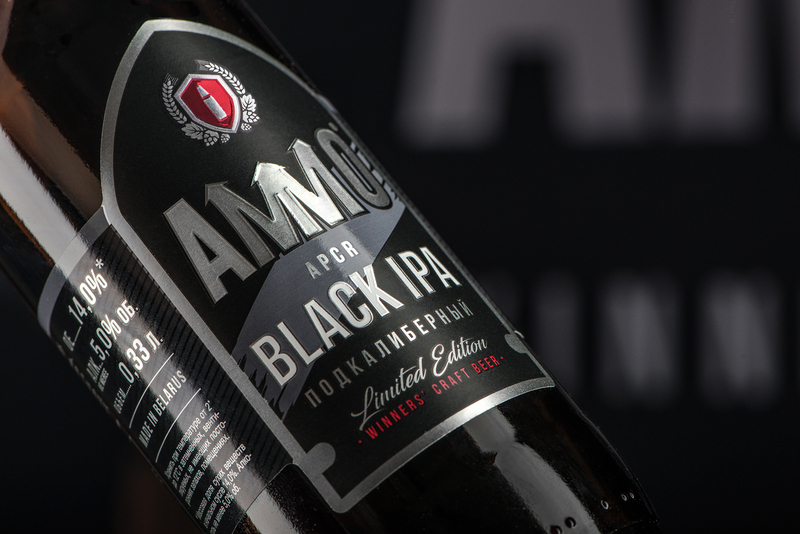 For example, the most popular craft IPA compare with armor-piercing, Black IPA with APCR shell. 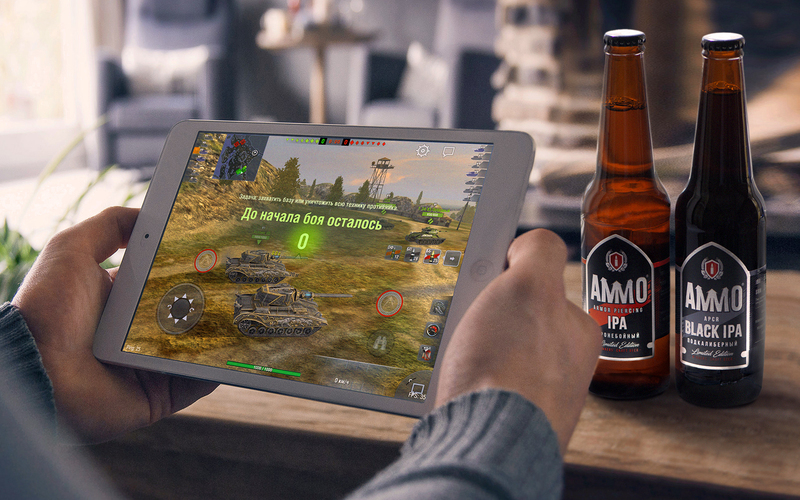 So AMMO beer is like “shells for gamers recharge”. 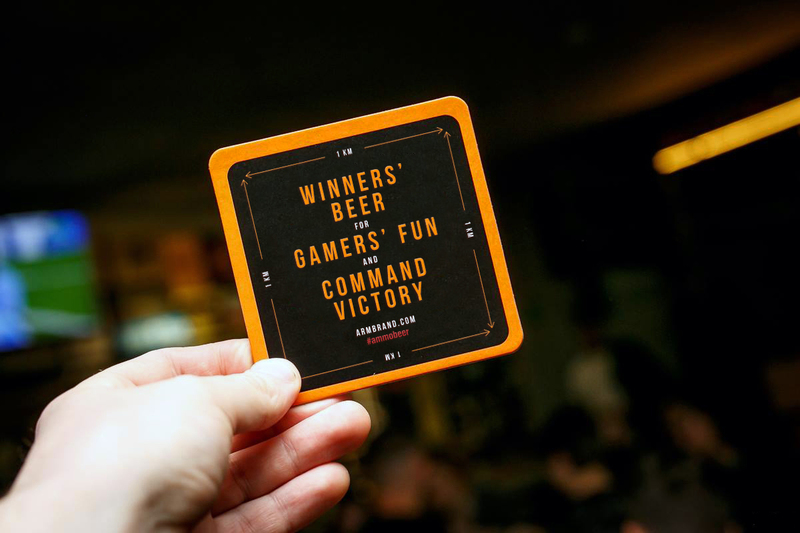 Slogan: “Winners’ beer” (“Beer of winners”). 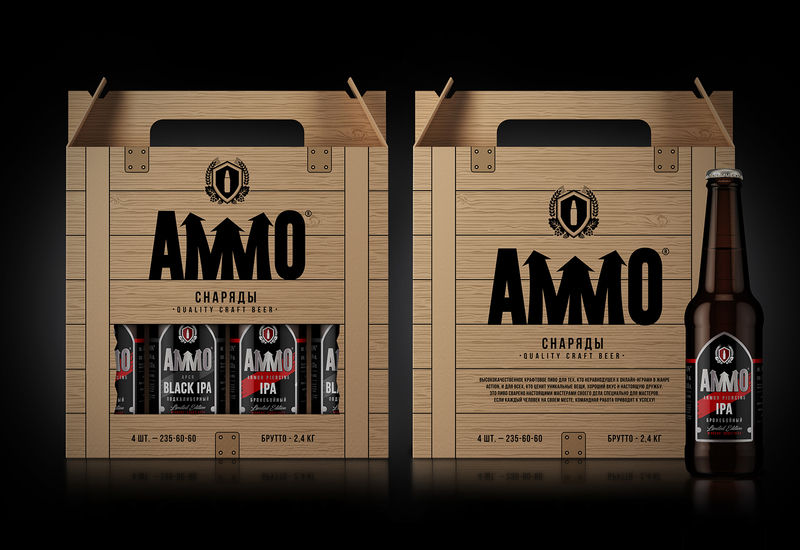 The stylish packing for a set of bottles has the form of a box for shells and intensifies “warhead” image, improves convenience of transportation and makes “unit of fire” a presentable gift. 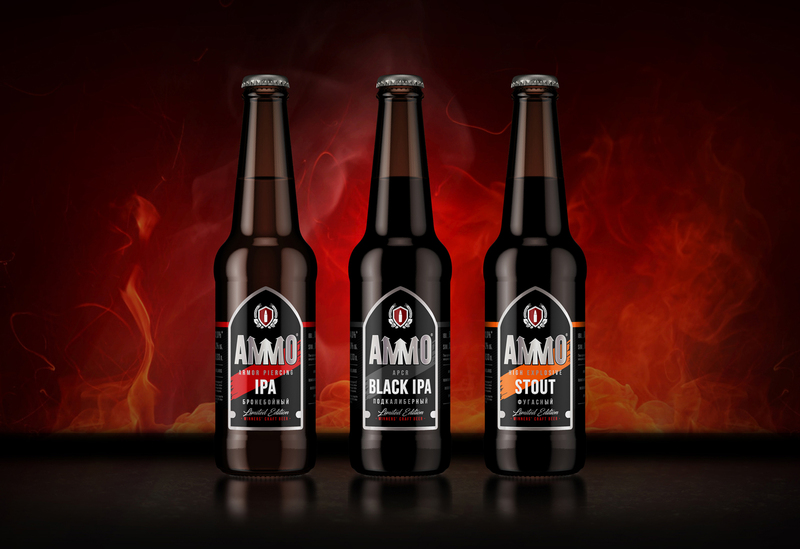 We have created a line of high-quality beer AMMO, which connects two realities: craft beer using culture with the world of the popular online militarized games gathering dozens of millions of fans.